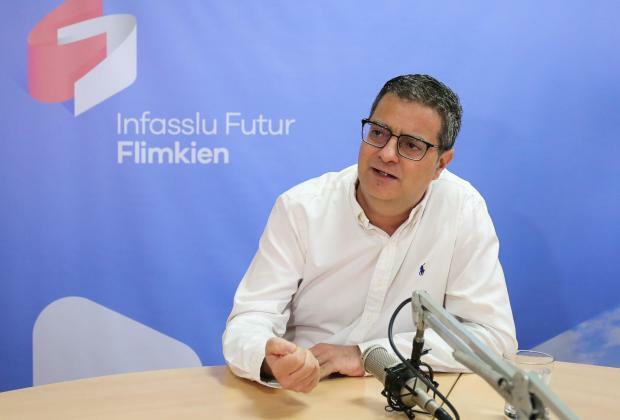 The Nationalist party has lost its credibility and is not managing to show it renewed itself, Nationalist party leader Adrian Delia conceded. He was speaking in reaction to a survey published by MaltaToday on Sunday showing that Labour party could win with a margin of some 94,000 votes over the PN. Speaking during a short interview on Net, Dr Delia also said the changes within the Nationalist party were going to continue. “The government says we need a strong opposition, but we need more than just that - we need an opposition that can provide a stronger alternative,” Dr Delia insisted. The Nationalist party had gone through a challenging time over the past two weeks, Dr Delia acknowledged, after an impasse was created when he asked former leader Simon Busuttil so suspend himself from the parliamentary group. “This isn’t the end, this is the start of a process,” Dr Delia said. “It was evident that it was supposed to start last summer [when Dr Delia became leader], and it was also clear that some people were going to disagree,” he added. “The new way of doing politics is not just seeing the negative, it’s also seeing the positive,” Dr Delia said. “The time for the kind of politics where we say everything is wrong is over,” he added. He also said the party wanted to focus on “issues that were important to people”, such as the rising prices in fuel and bread. “During the time when fuel prices went up under the Nationalist government, Labour had created a furore. Now, quietly, it has raised prices but employed marketing strategies to make sure people don’t realise,” the Opposition leader insisted. This needs to be one of the party's main fights - we have to fight corruption but we also need to speak about these issues, he added. Turning to rising rates of criminal activity, Dr Delia said the trends were “disturbing”. Summer was supposed to be a time for relaxing - full of sun, beach and sand - but instead there was a dark cloud of criminal activity, Dr Delia said.